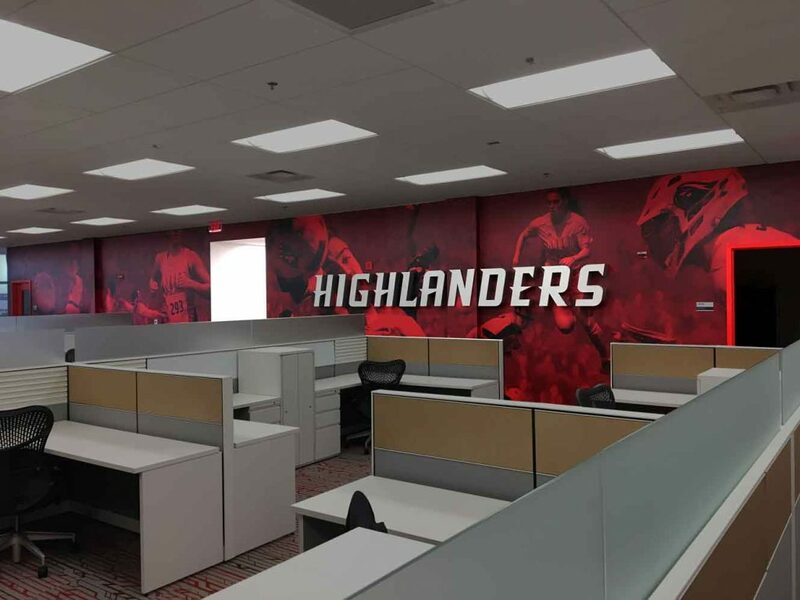 At the new 220,000 sq. 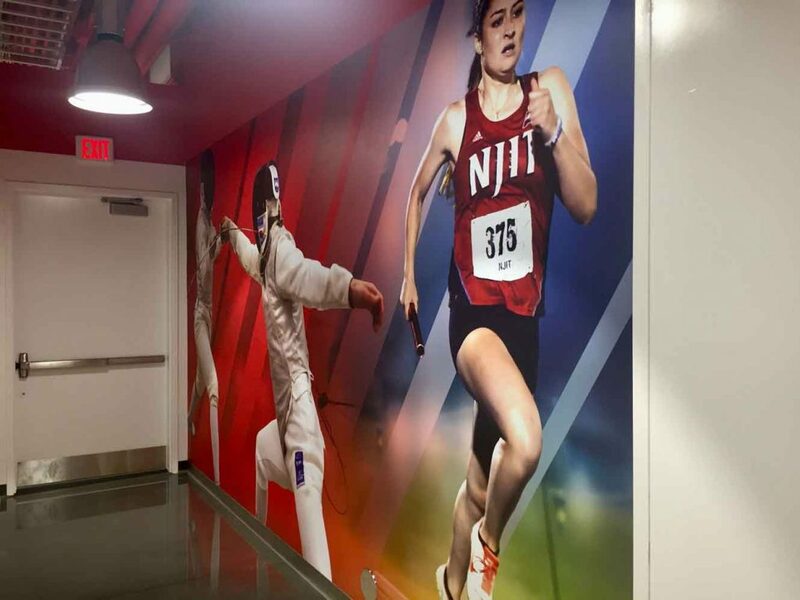 ft. Wellness and Events Center (WEC) at New Jersey Institute of Technology (NJIT), athletes along with the entire student and faculty community are discovering a 21st century facility designed and built to transform the campus and add fuel to the revitalization of the school’s University Heights neighborhood in Newark. 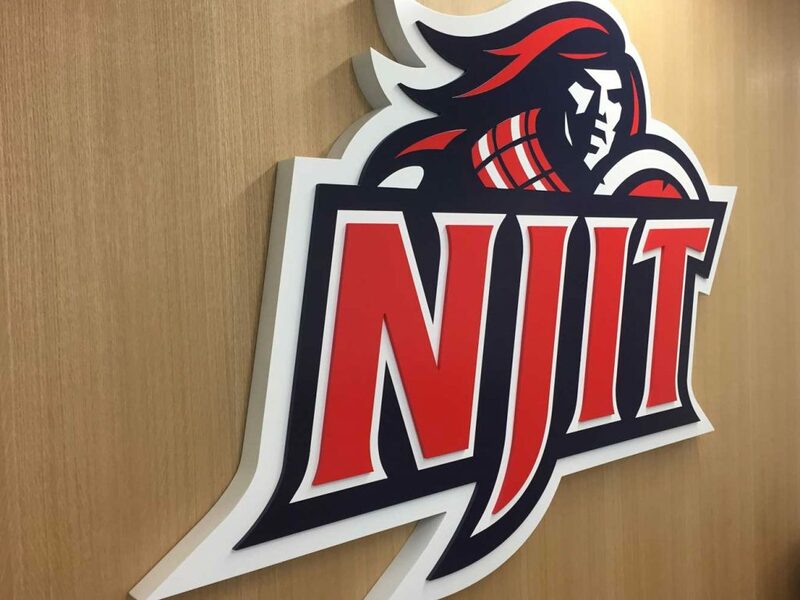 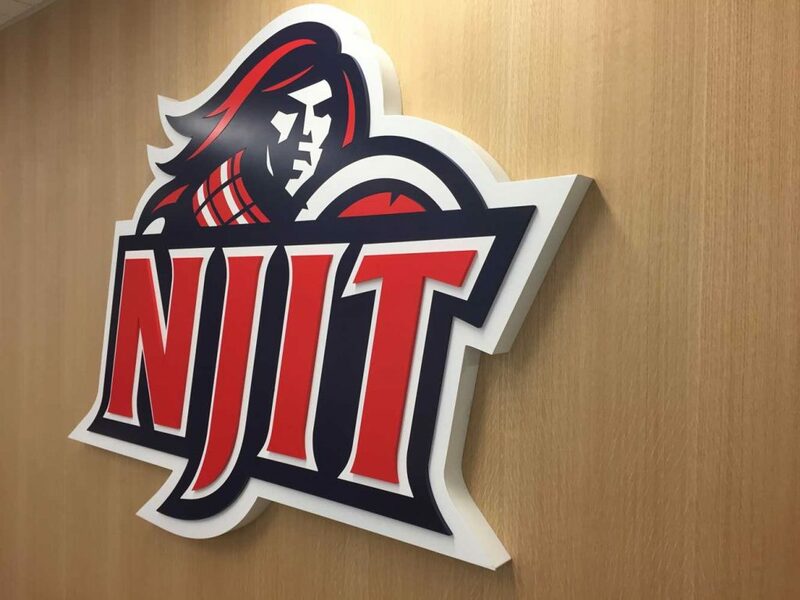 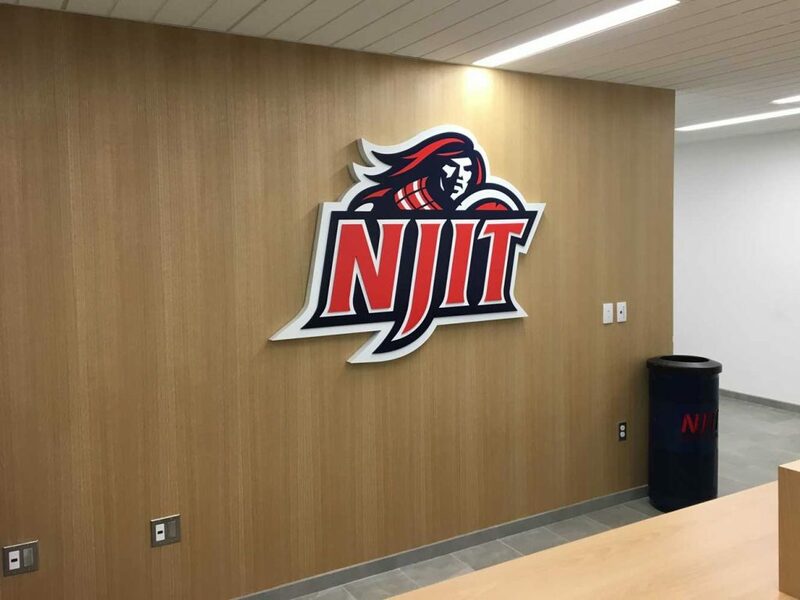 Opened fully in the Spring of 2018, the WEC is home to the NJIT Highlanders NCAA Division I athletic program. 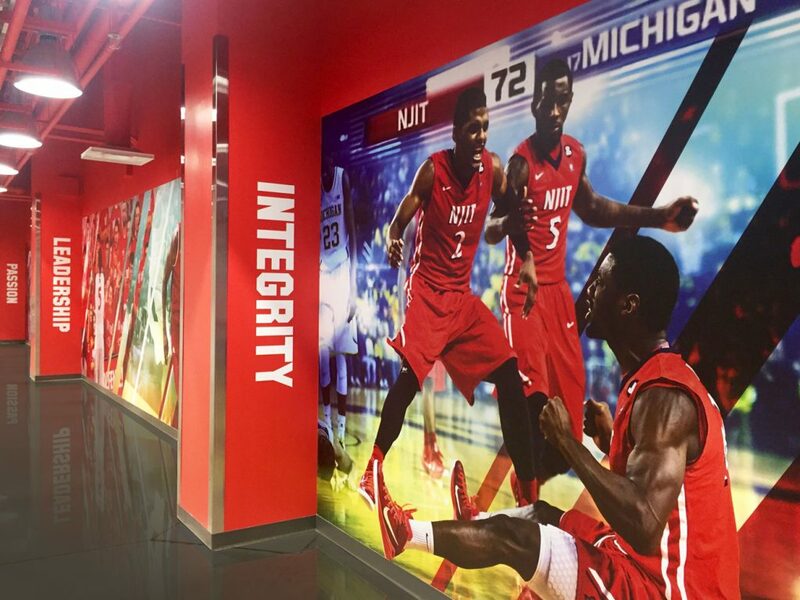 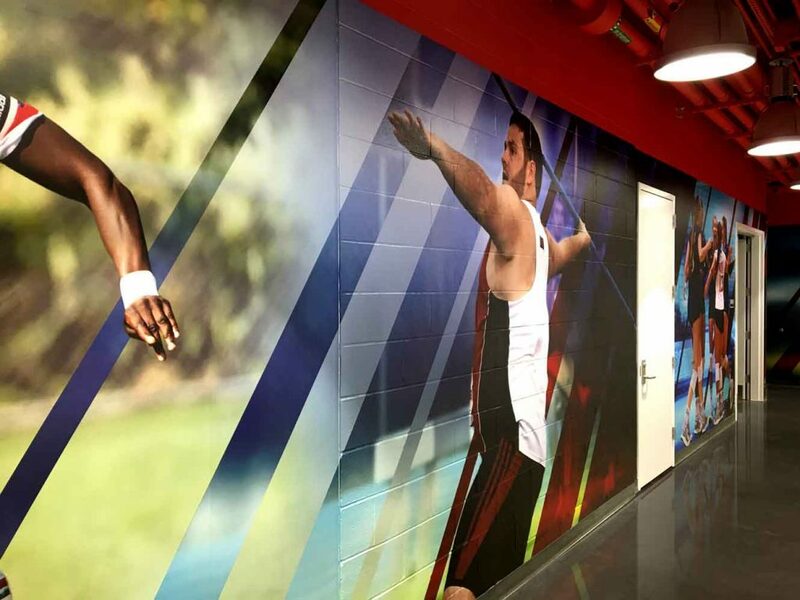 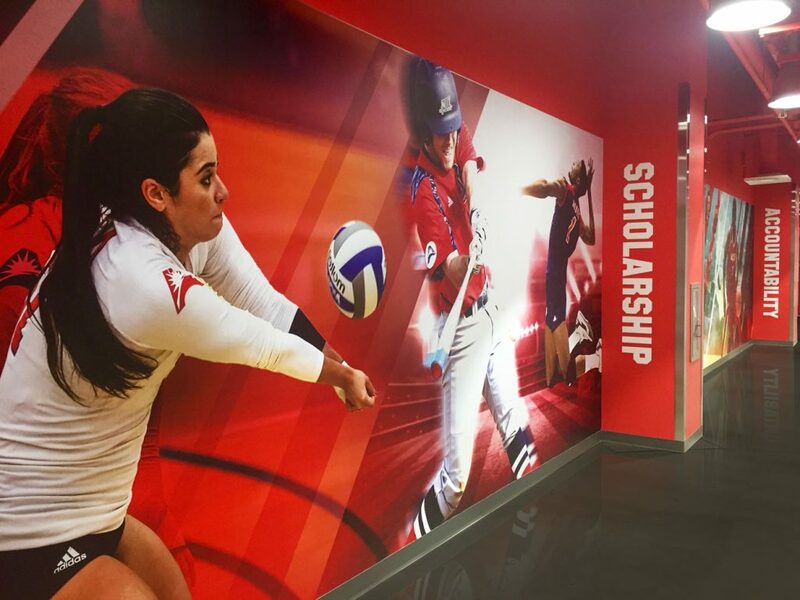 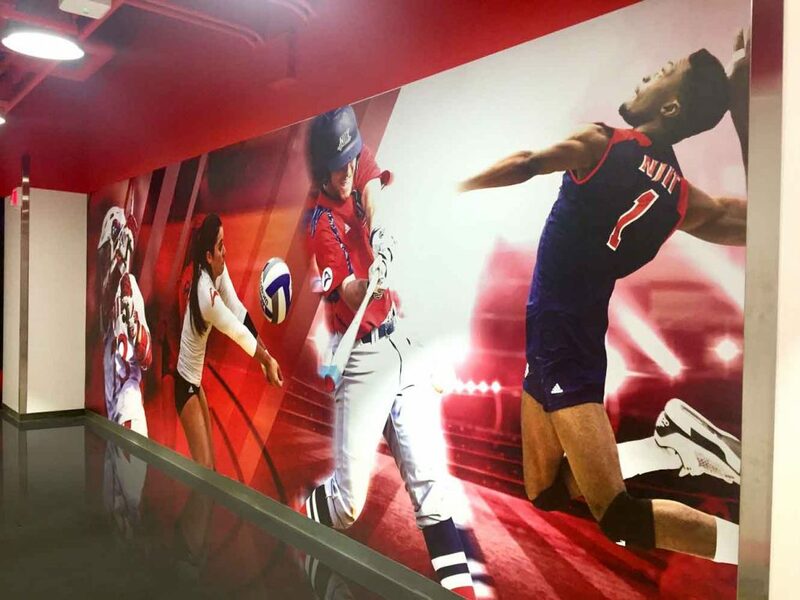 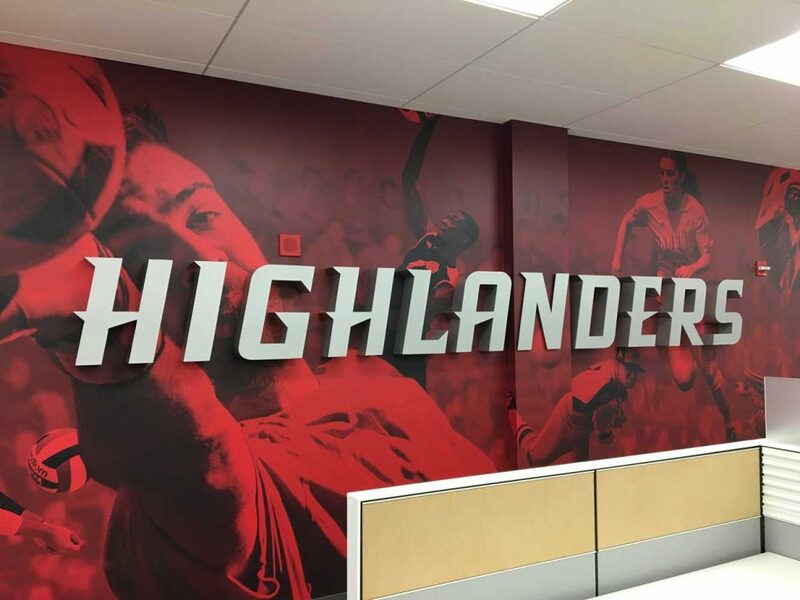 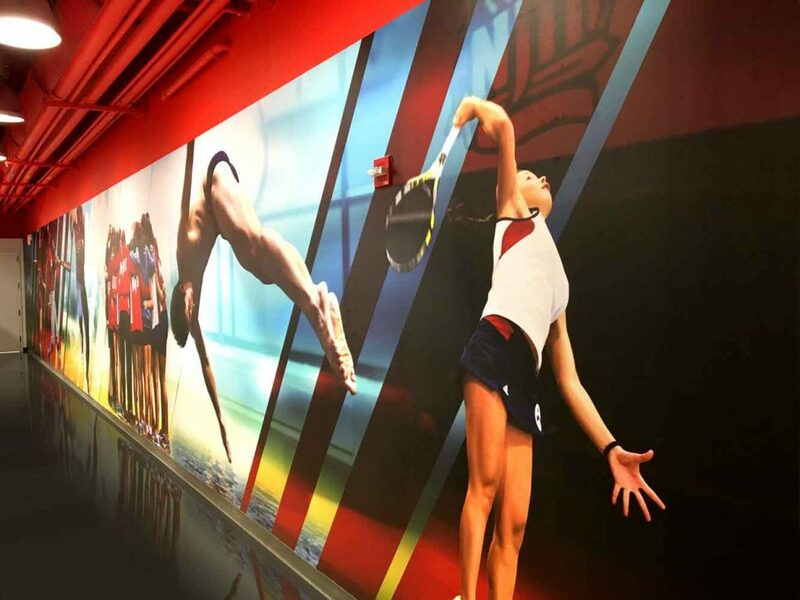 High-impact 3D athletic marks brand the Highlander offices while environmental graphics showcase stand-out NJIT competitors. 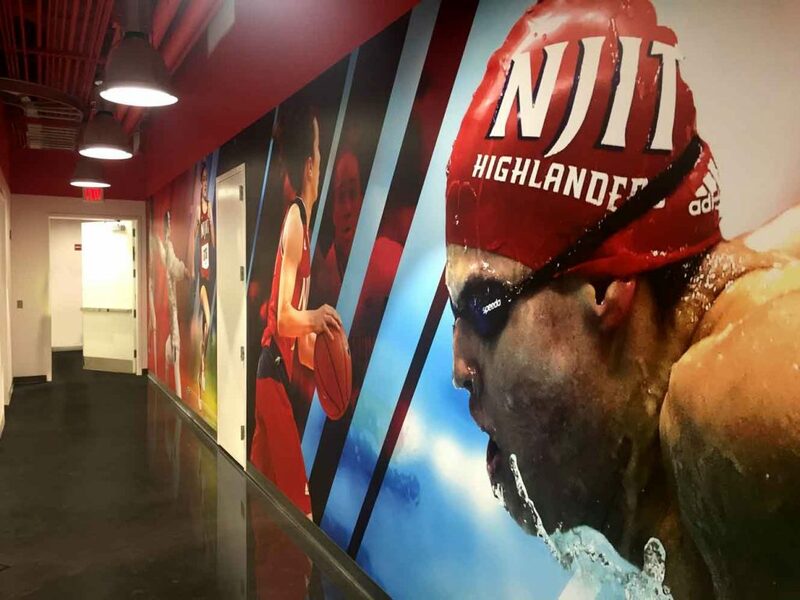 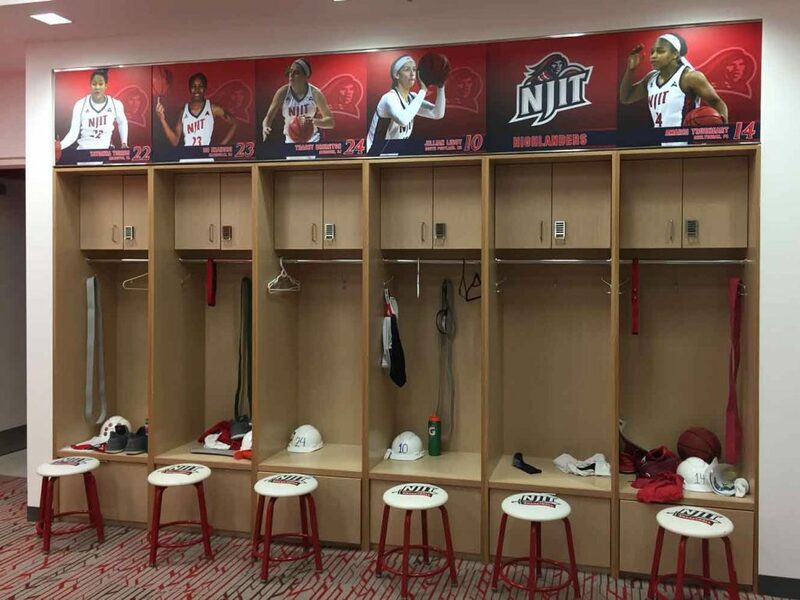 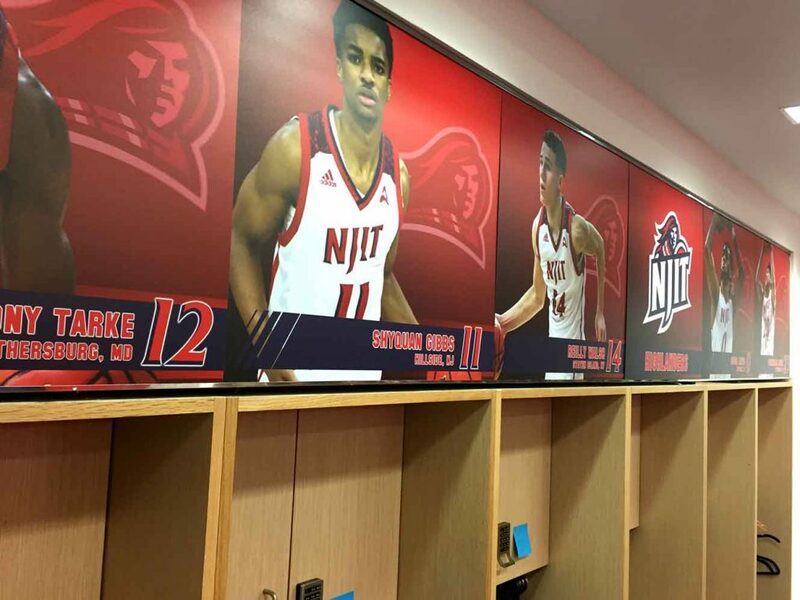 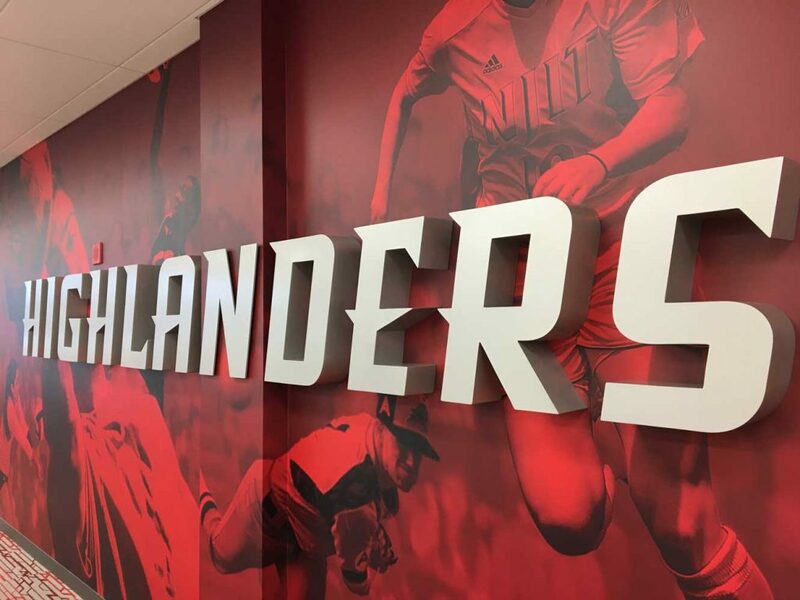 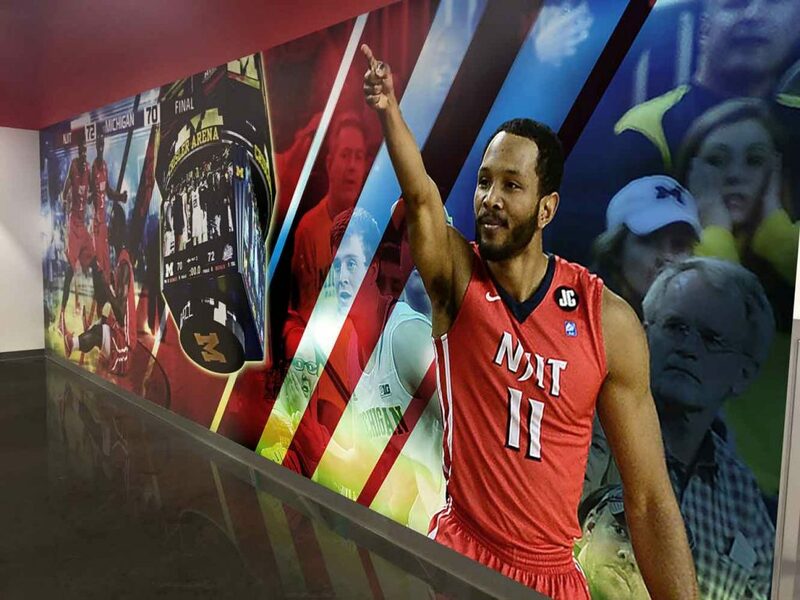 The graphics also reinforce the Highlanders’ commitment to raising the visibility of NJIT’s scholar-athletes who excel not only on the field, but also in the classroom and in the school’s storied research labs and high-tech business incubators.